Walking football is scoring a goal in the community at The Hubs AstroTurf park. Increasing numbers are turning up every Friday afternoon to enjoy the free sessions, being run in partnership with ourselves and Greenock Morton Community Trust, who provide coaching on the rules. · Players have to keep one foot on the ground at all times. · No running or jogging allowed - Anyone who breaks into a jog usually receives two warnings before a two-minute penalty in the sin bin. · Have lots of fun!! 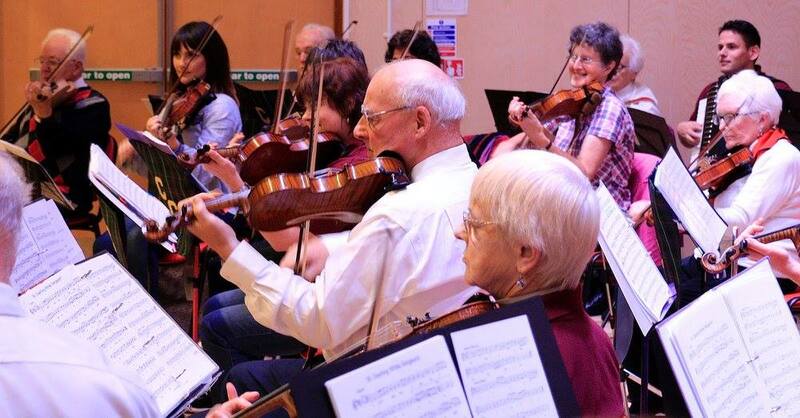 We are encouraging all men and women aged 50+ of all abilities to take part — and enjoy the benefits of getting active in later life. Sessions are on every Friday between 1pm and 2.30pm. More information is available by calling Kevin at the Hub on 520740 or Brian McLaughlin of GMCT on 731949. 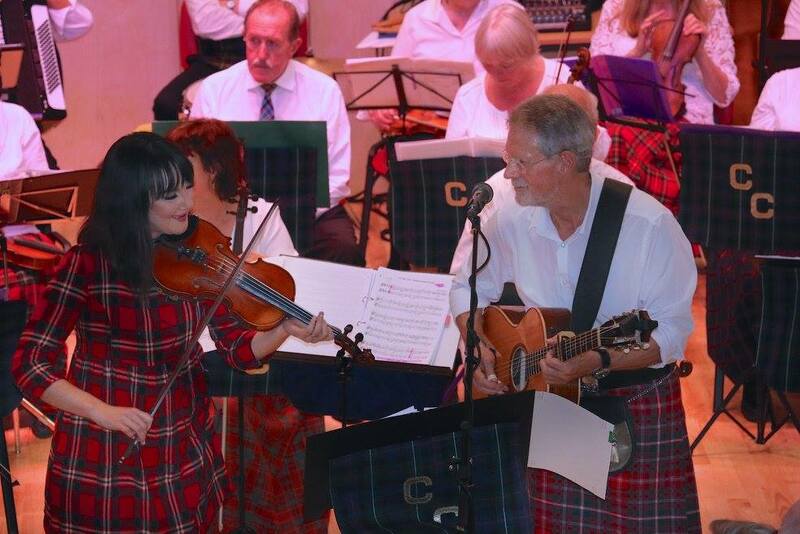 Photographs courtesy of George Munro at the Greenock Telegraph and GMCT. 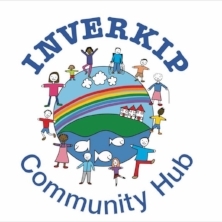 Inverkip and Weymms Bay Community Council are looking for villagers in Inverkip that would be interested in setting up a gardening club in the village . The Main Street in Inverkip is looking very tired 😟 so they are looking at projects to brighten up our village. Work is starting soon on restoring the bridge over the Daff Burn and getting work done in the small garden area behind the bus stop. This work has been funded and is being carried out by a contractor. They are looking for people who would be willing to tend areas , planters etc on an ongoing basis. If you are intested then you can leave your details at The Hub and we will pass them on or drop them a message on their Facebook page. The Hub receive's a visit from Your Voice Community Connectors. We were delighted to have a visit from the Community Connector team last week who introduced Margaret to us. Margaret in new to the area and wanted to find out what was on locally. The Community Connector Project aims to engage with the community to assist people (over the age of 16) to increase their social interaction or connect people to services and activities where formal services are not best placed to meet needs. If you, or anyone you know someone who would benefit from this service, Your Voice take referrals from Health and Social Care Professionals, Community Organisations, as well as Family, Friends and Neighbours. If you would like to find out more then please contact them on the details below or pop over to their Website. 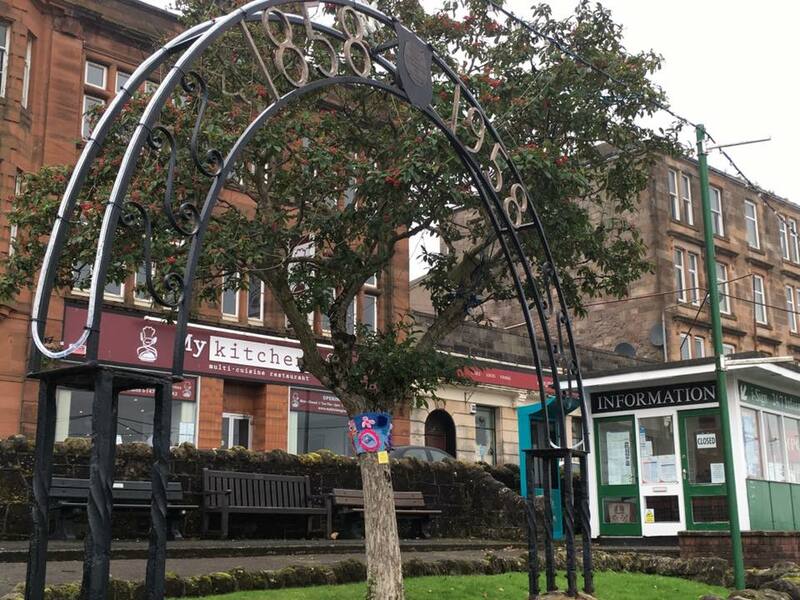 The Community Connector Project is funded by Inverclyde HSCP (Health & Social Care Partnership) & is delivered by Your Voice. The Hub are delighted that one of their volunteers, Nick Kyle, has offered to do a one off/first of its kind, paranormal night at The Hub for Halloween in aid of raising funds for the community centre. Nick, the past president of the Scottish Society for Psychical Research, has studied the subject for over 30 years and regularly gives university lectures. Nick says he know of 4 houses in the village that are haunted and fresh from ghost hunting in Seattle, he is keen to find more hauntings closer to home. Do you think your house in haunted? Have you seen or heard some ghostly goings on? Know of some unexplained events? Want to share your story............? Then drop Nick an email at nick.kyle@btinternet.com to share your Ghost Story's. Tickets are still available for Nicks Event. See details on our events page. Tickets available from The Hub. 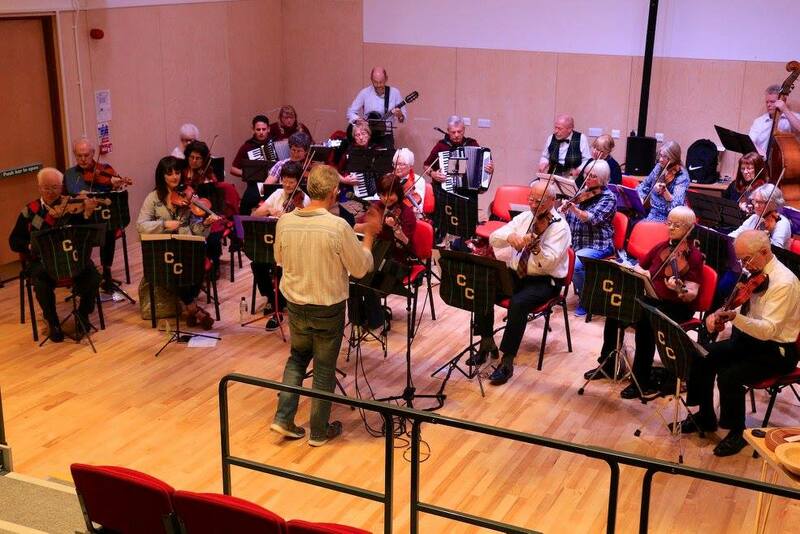 Last night seen Clyde Coast Strathspey and Reel Society take to the stage of The Hub for an evening of live music. 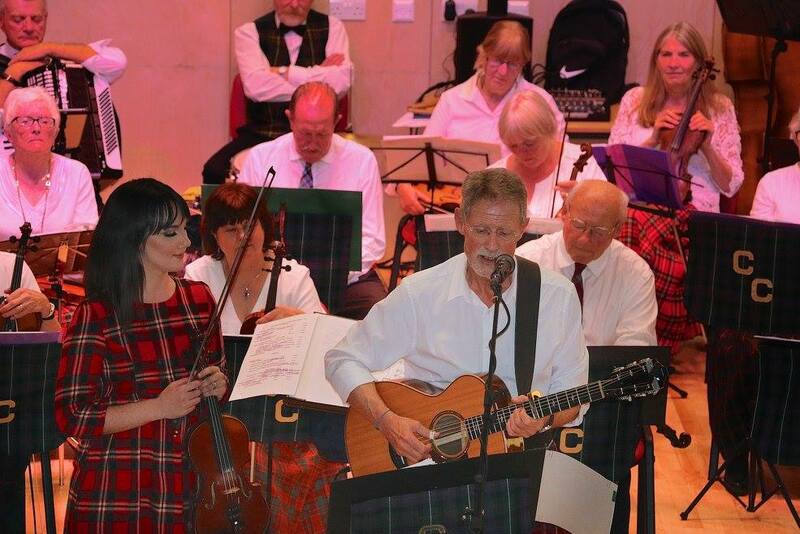 Guest artist Amy Lewis and Allan MacDougall showcased their talents on the evening and a great time was had by all. Thank you to the Society for letting us use your pictures and hopefully we will see you again at The Hub sometime in the near future!! Sunday seen our last guided cycle and confidence building rides of the year with Clyde Activity Bikes. 8 guided cycles and 2 confidence building rides where done leaving from The Hub. We would like to say a big THANK YOU to Stevie and the team and look forward to making some plans for next year! If you would like more information on Clyde Activity Bikes then head over to their Website or Facebook page. If you still want to be involved in a great cycling project then why not contact Stuart and Kieran at Inverclyde Community Development Trust. The project will develop skills, reduce waste and promote social inclusion in the area through cycle training classes, bike repair workshops, bike recycling, cycling outreach work with key groups and by creating social cycling opportunities for local people. If you are keen to find out more then follow the link here. Our Knit and Knatters Yarn Storming Inverclyde!!! Our knit and natter group who meet in the Hub on a Wednesday night contributed to the Yarn Storming displayed throughout Inverclyde this week as part of a project for this year’s Scottish Mental Health Arts Festival (SMHAF). 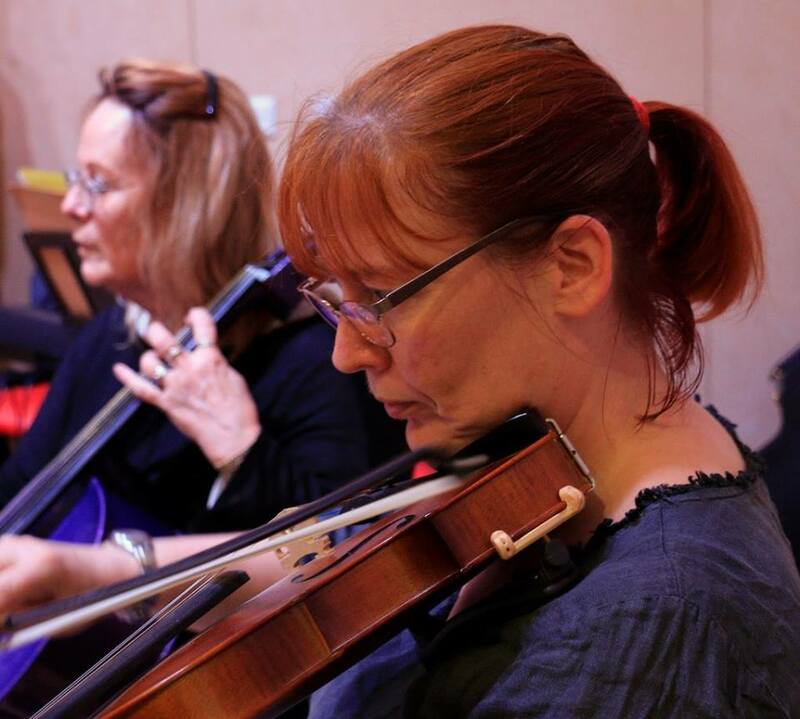 Launched in 2007, Scottish Mental Health Arts Festival (SMHAF) has grown into one of the largest festivals of its kind in the world, with over 300 events and 25,000 attendees across Scotland each October. Thank you to our lovely volunteer Valerie Campbell for letting us use her pictures. We are delighted to announce that Nick Kyle has chosen to do his One Off Events as a fundraiser for the Hub. Nick Kyle, Past President of the Scottish Society of Psychical Research, will reveal in his illustrated talk, scientific evidence of REAL paranormality, most of which has never been released publicly. He will show you the world’s best ghost photograph, verified footage and inexplicable audio clips, with awesome personal experiences and his spooky case investigations, all corroborated, including his recent involvement in the investigation of an alleged demonic haunting in Seattle, USA, just published in book form. The first talk of its kind in Inverclyde! This is for adults-only! This will be followed by a comfort break with refreshments. Nick Kyle will give an illustrated talk on what he has discovered about local hauntings, since coming to live in Inverkip. With a historical background, he will present new information and recent witness accounts of ghosts that haunt Inverkip, spooky locations and stories of high strangeness and witches. New to Inverkip! See behind the scenes in the village you thought you knew. This is also for adults-only! BARGAIN OFFER! Buy tickets for both talks at least a week in advance (before Saturday 21st October) from the Hub for only £10! A saving of two pounds. Seating is limited, so don’t leave it too late to buy yours! 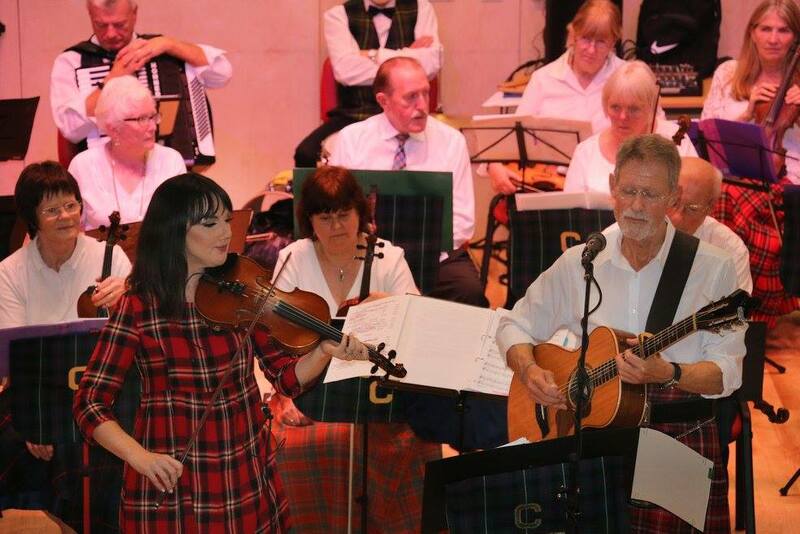 This is a fund-raising event for Inverkip Community Hub. With thanks to George Munro of the Greenock Telegraph for use of the Photo. The Community hub has been open since mid-January and we are now starting to make great progress with a wide range of services being delivered and supported at the hub …. We have also had several consultations events and carried out listening surveys to look at the needs of the local community and what services and programs they would like to see on at the hub which will be an ongoing process with further consultations planned for early next year . The feedback from our consultations and surveys has formed the core part of our program which has to be balanced with the commercial aspects of running a large facility in regards to running costs and supporting core services. 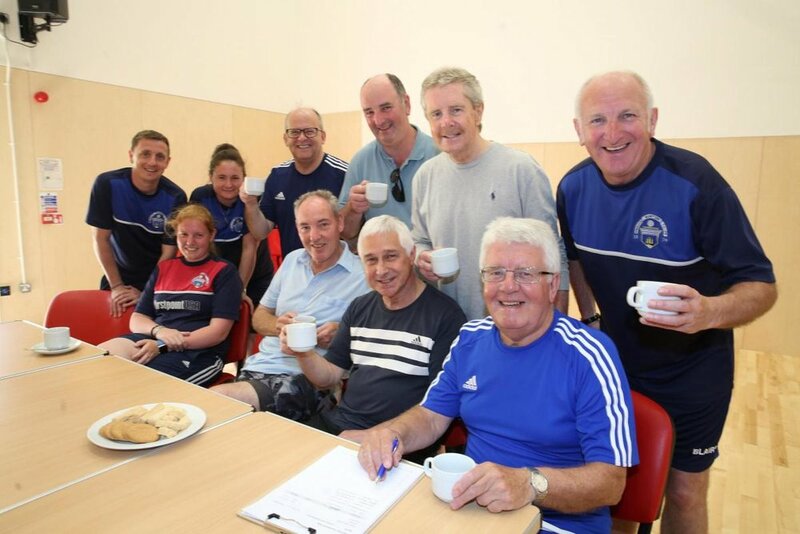 The initial vision was to get the facility up and running which we have done through a dedicated group of volunteers and in particular Bill Stewart our Chairperson who has led the way and has done an amazing job to get us to where we are today…. Although the building is up and running we still have a lot of work to do as far as external groundwork, play-park, cinema and the usual snagging issue that comes with a new build are concerned. I am also working with a great group of local volunteers who meet regularly at the centre and are focused on supporting a new vision for the hub which includes the cinema, events, fundraising, youth services, training and education and the surrounding environment. The cinema is still work in progress with the screen and picture now finished and looking amazing. We still have some work to do regarding the acoustics and sound in the main hall and will keep everyone up to date with any future developments. 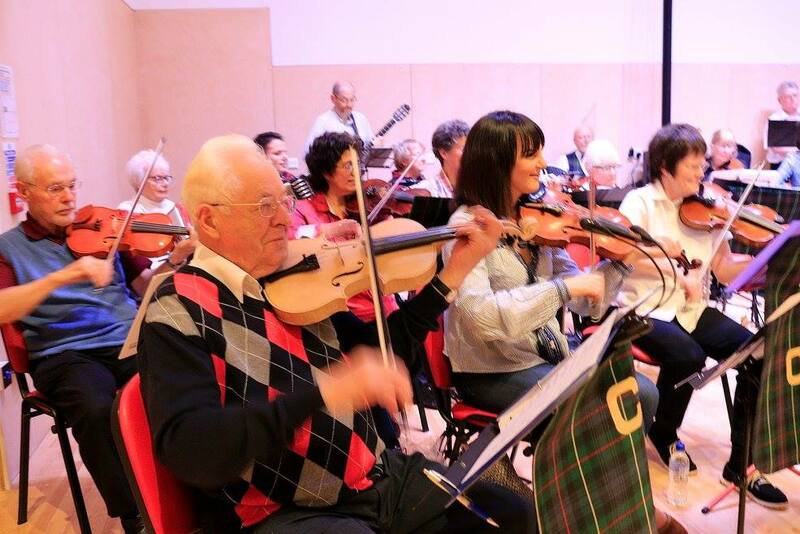 The Kip Volunteers have also been very busy and have assisted in organising shows, events and fundraisers over the coming months, the first of these will be on the 14th of October 2017 when the Clyde Coast Strathspey and Reel Society are hosting the Cowal Fiddle Workshop which we are delighted to bring to Inverkip…. tickets now available at the Hub. There will be a home baking teas and coffees and a raffle on the evening with the funds raised going towards our defibrillator for the village which should see us reach our target of £1800 so if you fancy doing some baking let us know or if you have some prizes for the raffle please hand them into the hub . At Halloween we will be hosting some spooky events for kids and adults starting on Saturday 28th October with kids Halloween parties in the afternoon with games and prizes and in the evening we welcome our very own guest speaker Nick Kyle presenting “Startling Evidence of Life after Death!” with the second session presenting “Haunted Inverkip and It’s Witches” . Tickets will be available soon from the hub £10 for both presentations and £6 for one session this will include teas, coffees and some light refreshments. Young people are already accessing the facility for dancing ,table tennis, football, library, some just dropping in to access wi-fi and sit in our breakout area .This has identified the need for drop in activities for young people from Inverkip initially targeting 1st 2nd and 3rdyear pupils. This is now high on our agenda and we are looking for volunteers interested in working with this age group and can provide youth work training as part of the induction process if required. We are also open to suggestions from parents/guardians to run activities for younger kids if they feel there is a need or demand for this and we will be happy to look at how we take this forward and support parents /guardians with any funding, training or advice to get this up and running. Please pop in to the hub and speak to me regarding any activities, support or information I will always find the time to look at improving the services at the hub that will benefit the local community which is always the best way of communication as I’m not great with Facebook !!!. We are also now an accredited training centre and can deliver a wide range of certificated E Learning classes from manual handling to COSHH assessments and fire safety. Partnership working will be a key factor in providing placements and allowing us to delivering training and further learning opportunities, we are working closely with West College Scotland , Inverclyde Council andInverclyde Community Development Trust which is already work in progress with three Explorer Scouts doing voluntary work for their DOE anda future Job Fund Placement starting on the 6th of September a further placement from the readiness for work project will also hopefully be in place soon. The support from the local community has been amazing and footfall has already exceeded our initial expectations with first quarter footfall from Jan to March over 3500 and the second quarter rising to just over 6000 footfall from April to June 2017. The Library has also been a great success with an increase in users and books issued from last year with 528 books issued in July 2016 …. July 2017 at the hub the books issued increased to 945, July visitors also increasing from 462 to 1005 which is fantastic. I am sure with your continued support and working closely with partner organisations we will continue to develop and deliver a new vision which reflects the views and aspirations of the local community. The main responsibilities in each role are detailed below. Applications should be in the form of a covering letter (e-mail acceptable) with details of any previous committee/trustee experience. The closing date for applications is Friday 28th July, 2017. The board will review all applications and successful candidates will be asked to attend for interview.